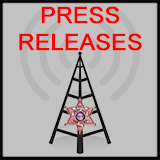 Cass Co. – For the second time in less than a week the Cass County Tactical Response Team responded to a request for a barricaded operation. Early Sunday morning around 2:00 a.m. Peculiar Officers responding to the 300 block of W. Broadway interrupted a burglary in progress. Peculiar Officers who set up a perimeter around the house observed the suspects in the residence. The officers attempted to establish contact with the subjects inside with negative results. At 5:10 a.m., Peculiar Police called for the assistance of the Cass County Tactical Response Team. After receiving no contact with anyone inside the Tactical Team entered the residence and found two men hiding in the attic. Those men, Teddy R. Harper, 28 and Aaron Hamm, 28, both of Kansas City, Missouri were charged with 1st Degree Trespass and are currently being held in the Cass County Jail on $10,000 bond. 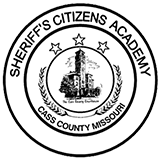 The Cass County Tactical Response Team was organized and developed for exactly these reasons. These types of incidents fall outside the scope of a standard patrol officer. 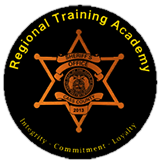 Situations like barricaded subjects, high-risk suicidal subjects, and high-risk arrest and search warrant executions require specialized training and equipment. “A tactical team requires training and equipment that is expensive. It’s not something that every agency can afford, so it is a service that we provide for those who need it. Ultimately I want to resolve high-risk situations with a minimal loss of life, injury or property damage and you can’t put a price on that,” said Sheriff Dwight Diehl.